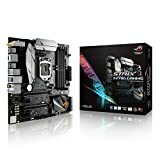 Jul 05, 2017: Recommended Motherboard for my Possible Build? Sep 26, 2017: How is it? Mar 27, 2018: Are my motherboard and this old PC cassette deck compatible?